With its enhanced LF response and effortless SPL delivery, Unity’s new active bass extender is seriously hot stuff. Schwing! 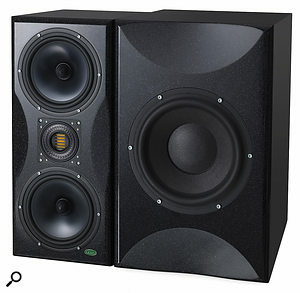 Unity Audio’s gradually expanding line of professional monitor loudspeakers (all using sealed-cabinets) has featured often in the pages of Sound On Sound over the years, and I’ve been lucky enough to review most of them. The most recent model to excite my ears was the revised Boulder three-way mid-field unit (SOS June 2015), which benefited from a slightly larger cabinet, compared to the original model, and new bass drivers, enabling greater bass extension and maximum SPL (reviewed August 2012). The BABE is designed to be partnered with Unity Audio’s Rock II monitor (as pictured, left).However, it seems that these improvements were still not quite enough to satisfy some of Unity’s potential customers, and so the team developed a bespoke active bass unit to partner the Boulder MkII, giving considerably greater SPL capabilities and even deeper bass extension. This new unit — christened the BABE (Boulder Active Bass Extender) — essentially turns the three-way Boulder MkII into a cohesive four-way system, and each Boulder MkII can be supplemented with either one or two BABEs, depending on the total SPL required! This flexibility allows the Boulder MkII/BABE combination to be used as a large mid-field or main system, and it can also be soffit-mounted if required. The arrangement of Boulder and BABE cabinets is also quite flexible, depending on the specific installation circumstances and preferences. 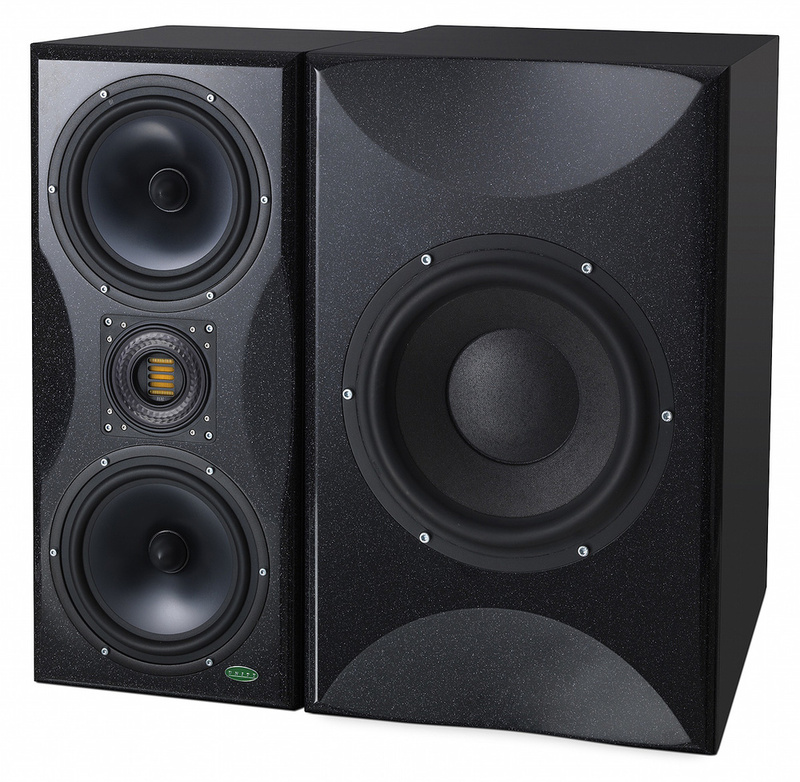 Like all other Unity Audio monitors, the Boulder Active Bass Extender employs a sealed cabinet, which brings several benefits including a gentle LF roll-off slope and minimal time-domain ringing. The construction follows exactly the same pattern as the Boulder MkII, with 18mm Baltic-birch plywood side and rear panels and a 30mm Corian front baffle. The dimensions are 386 x 614 x 500 mm (WHD), matching the height of the Boulder, but being considerably wider and deeper. A single 300mm paper-coned, long-throw woofer dominates the front baffle, and this Morel-made drive unit is designed specifically for high-end subwoofer applications. It boasts several interesting design features, starting with a massive Hexatech voice coil, which employs hexagonal aluminium wire to minimise air gaps in the coil winding, apparently improving efficiency by around 20 percent over the equivalent round-wound coil. The voice coil is an under-hung type, meaning the coil is shorter than the magnetic gap in which it moves, to ensure it always remains within the linear region of the magnetic field. It also has a rather larger diameter than is common, at 130mm, and that is so that the magnet assembly can be housed inside it rather than outside, again delivering improved efficiency. In a very obvious departure from Unity Audio’s established design ethos, the BABE does not feature a built-in amplifier and, moreover, it’s not a variation of the discrete Class-A/B amplifier designed by Tim De Paravicini, which is used in the Boulder MkII (and all the other models). Instead, an external single-channel 2U rackmounting amplifier is used to deliver 750 Watts from an OEM Class-D module. The simple reason for this apparent change of direction is that the Paravicini amps aren’t powerful enough for this task, and Unity Audio found a good-sounding Class-D design that offers a far more pragmatic solution given the inherently band-limited response of the BABE. The BABE system includes two rackmount amplifiers and a DSP speaker management unit (pictured), which handles all crossover, EQ, delay and compression duties. Similarly, the rackmount crossover unit is a badged version of the ID48 Matrix Signal Processor made by NST Audio (a British company co-founded by Dan Cartman, formerly of XTA Electronics) which has four analogue inputs and eight analogue outputs, but all the signal processing is performed digitally at 96kHz. The unit provides facilities for gain, polarity, matrix mixing, compression, 24dB/octave high-pass filters, six-band parametric EQ, 24 or 48 dB/octave crossover filters, dual-band dynamic EQ, and up to 1.3 seconds of delay per channel — all very useful for achieving perfect alignment in any particular control room. Sufficient inputs and outputs are also available to support systems using either single or dual BABEs with each Boulder MkII, or for LCR rigs in surround configurations. When purchased as part of the BABE system, the ID48 comes pre-configured to provide the appropriate high-pass filtering for the Boulder MkIIs as well as band-pass filtering and level matching for the BABEs. By default, outputs 1-2 are ganged and feed band-pass filtered signals to the BABE amplifiers, while outputs 3-4 (also ganged) deliver high-pass-filtered signals to the Boulder MkIIs. Given the size of the BABE, I was expecting the crossover frequency to be below 100Hz, but in fact the default crossover setting is 167Hz with a fourth-order Linkwitz-Riley response. 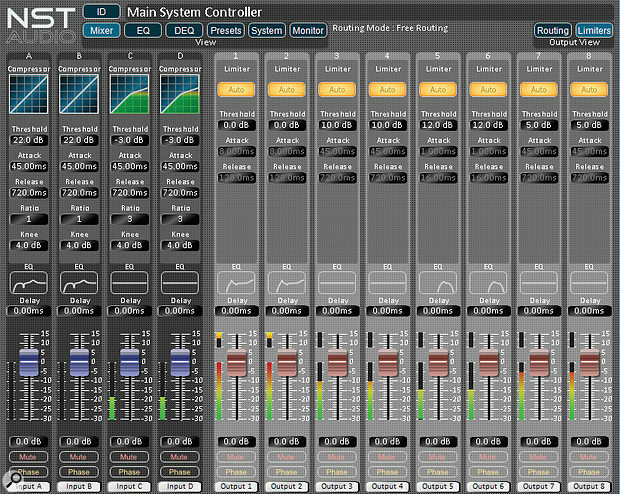 The four-input/eight-output crossover can be configured using a dedicated piece of software. I am very much indebted to Andy Gray who allowed me to spend an afternoon auditioning his own stereo installation of Boulder MkII/BABE speakers at his wonderful studios in the Isle of Wight. 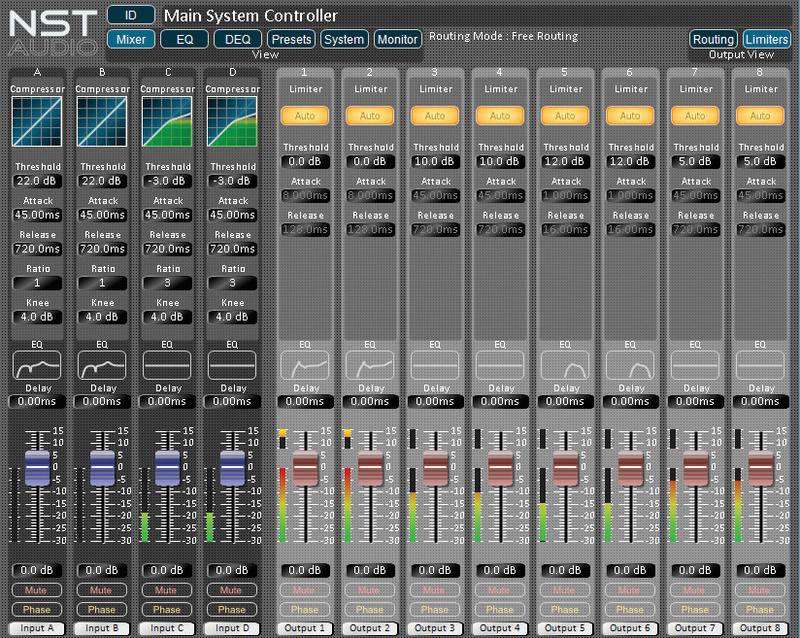 As is my usual practice, I used a selection of familiar commercial test tracks to evaluate the performance of the Boulder MkII/BABE system, which was controlled with a Dangerous Music Monitor ST monitor controller. Not surprisingly, the improved bass extension afforded by the Boulder MkII/BABE combination was immediately obvious, and although the Boulder MkII is already pretty good in this respect (with a published -3dB LF roll-off at 33Hz), the BABE units were clearly taking that far lower and with effortless power. To provide a frame of reference for the unfamiliar listening room, I started off running a sequence of descending staccato bass tones to evaluate not only the extent of the low end from the monitors, but also to identify any standing-wave peaks and troughs in the room itself. Astonishingly, there were none, and the system’s bass response was virtually perfectly flat right down to 32Hz (C1), where my test tones stopped! Andy Gray’s impressive control room, measuring roughly 6 x 5 metres, is set up in an outbuilding of a listed manor house built in the 1600s with walls that are over a foot thick. However, the rear of the control room is a wooden screen, and the ceiling appeared to be of a relatively light construction, so I presume both tended to act as very effective bass traps. In 30-plus years I’ve been in only a handful of rooms that sounded as good, and none with such minimal room treatment in place. What a find! Switching to some carefully chosen commercial tracks, the extent and solidity of the BABE’s bass response was evidenced convincingly by the 32-foot pedal notes in a stunning organ performance by Jean Guillou of his own brilliant transcription of Mussorgsky’s Pictures At An Exhibition suite. Another handy track for evaluating bass extension and linearity (it’s particularly good at revealing intermodulation issues) is ‘Temple Caves’ from a Mickey Hart album called Planet Drum. Both of these tracks were delivered very assuredly, and the bass extension and balance remained pleasingly consistent regardless of the listening level — a distinct benefit of sealed-cabinet systems over most ported cabinet systems, in my experience. The integration between the BABEs and Boulder MkIIs was also completely seamless, the combined units working as a perfectly cohesive four-way system. One of my favourite tracks for exposing LF time-domain and port ringing issues is ‘Straighten Up And Fly Right’ by Linda Ronstadt with the Nelson Riddle Orchestra, mixed and recorded by George Massenburg. I first heard this track on a Kinoshita monitoring system in a Tom Hidley-designed room at Masterfonics in Nashville, which was genuinely flat to below 20Hz. When played at realistic big-band levels on a well-engineered full-range system in a good room, this track is just stunning — particularly in the way it throws LF transients at you — and the Boulder MkII/BABE system delivered it superbly well. I’m not an advocate of excessively high monitoring levels — I value my ears too much to abuse them unnecessarily — but it’s very clear that the Boulder MkII/BABE combination allows much higher average and peak SPL levels than a Boulder MkII system could manage and sustain on its own. Unity Audio state that the Boulder MkII manages 117dB SPL at one metre, but provide no figures on the maximum SPL capability when partnered with one or two BABEs. However, given the relatively high default crossover frequency I’m sure the Boulder MkIIs would be able to deliver considerably more SPL through the mid-range and high end if they can leave the BABEs to take over the heavy-lifting duties at the low end. Certainly, the combined system was able to deliver seriously loud music in a big room without any hint of stress or strain — it really was a totally effortless performance, and one which retained impressively high levels of resolution and transparency without the coloration or veiling which can build up in big monitor systems as the level rises. My only minor criticism of the reviewed system is that, in Andy’s room at least, the stereo imaging wasn’t as precisely defined and focussed as I’d expected from my previous experiences with the Boulder MkIIs. I wondered if that might be caused by the placement of the BABE units, which were positioned directly alongside the Boulders, on their outside edges. This adjacent arrangement of the two boxes effectively widens the front baffle of the Boulder MkII, and that is quite likely to have a deleterious effect on stereo imaging. However, don’t run away with the idea that the imaging was poor, because it certainly wasn’t — it was just not quite as pin-sharp and focused as I had expected. Given the time to experiment, I would have been tempted to try placing the BABE units immediately below the Boulders, instead of alongside, leaving the vertically oriented Boulder baffles to radiate more freely. However, I don’t think Andy would have appreciated me rebuilding his control room when he was in the middle of a project, and I didn’t feel much like hefting the huge BABE and Boulder MkII monitors around myself on a whim, either! Overall, I can say I was very impressed indeed by the extra bass extension and extended SPL capability afforded by the BABE units, and their beautifully smooth integration into the Boulder MkII’s presentation was sublime. The Class-D amps clearly performed extremely well, as did the digital crossover, and the whole system proved very well matched and seemed easy to use and configure. There are very few sealed-cabinet monitors with sufficient SPL and bass extension to be usable in a main-monitor application, and the Boulder MkII/BABE combination clearly does that job supremely well, which is quite an achievement for a small independent British manufacturer. The Barefoot MasterStack 12 is probably the closest equivalent system to the Boulder MkII/BABE combination, although the Barefoot Micromain 27, BlueSky Sat 12, and SP Acoustics SP25MA are all sealed-cabinet systems of similar performance to the Boulder MkII. Substantial bass extension and effortless high SPL capability. Consistent tonal balance regardless of listening level. Unavoidably, the system’s size and price. An optional add-on active bass enhancement system for the Boulder MkII, with multiple configuration options and using external Class-D power amplifiers and a DSP-based crossover. £8820 per pair including VAT.